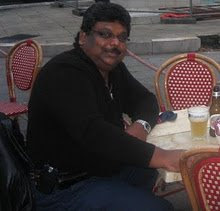 How Malaysian can one get than journo Rosmanizam Abdullah@Ang Teck Lee@K.T.Rajah! So many stories have been written, aired and told about being a true Malaysian, especially in the last month before the Merdeka Day, for me, but nothing beats Rosmanizam's history. This 50-year-old, father of seven (from two marriages) is living proof of a true Malaysian, in a country which is known for it's multi-racial community living harmoniously, which is the envy of nations worldwide. All the slogans of 1Malaysia is nothing compared to what Rosmanizam is practicing. I have known Rosmanizam since he joined Berita Harian in 1979, as a news reporter before covering sports from 1980 to 1985 and then back to news till 1991. He then, joined Utusan Malaysia as the Assistant Editor till now. I have heard of Rosmanizam's story in bits and pieces ever since I knew him and that he had three names and it appears on his identity card. But yesterday, I caught up with Ros, as I called him fondly, just as he was about to Buka Puasa alone at the Olympic Sports Hotel restaurant. Ros is the assistant treasurer of the Olympic Council of Malaysia since 2007 and the secretary-general of Malaysian Malays Cricket Association since 1992. I joined him for Buka Puasa, as he inquired about my stint in New Delhi with the Commonwealth Games Organising Committe. Then, I told him that I wanted to hear the whole story of his three names. We were at the restaurant till past 10pm, when we finally decided to leave. 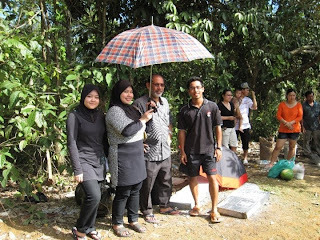 I promised him that I am going to post his story in my blog because it was one of a kind and to be told to Malaysians! Ros was born on May 25, 1960 to a Malayalee father, K.T.Gopih and a Chinese mother, Ang Mek Choo, in Tanah Merah, Kelantan. 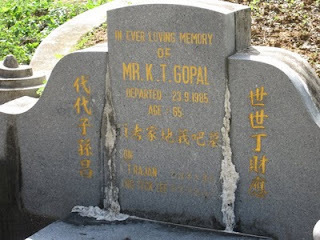 KT Gopih @ KT Gopal (below), who hailed from Thrissur, Kerala, India, and of the Karanjery clan, was well remembered for his deeds to the villagers of Belimbing,Tanah Merah, Kelantan (where he stayed with his wife) before Malaya attained it's independence. Many youngsters in the village were thought English by him and sent to Sekolah Inggeris Islah, Kota Bharu, Penang Free School and Loyola College, Madras, India. Among those who benefited included Prof. Dr. Ang Kok Jee, Ang Kok Sun, Ang Hock Kheng and many children who were of Chinese-Siamese parentage in the village. ROSMANIZAM's mother who was born on 15th Aug 1930 passed away on April 2nd this year. The red blouse she is wearing was a present for Chinese New Year this year from her daughter-in-law, Aminah Deraman. 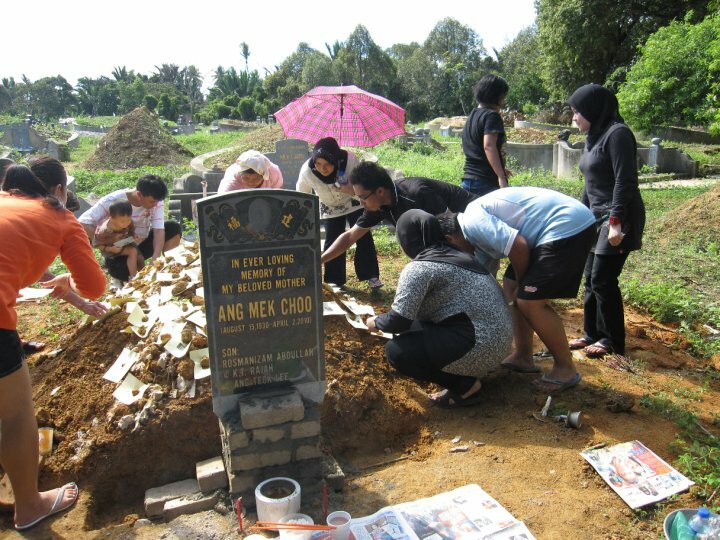 His mother was from Kampung Belimbing in Tanah Merah. For one week after Ros was born he was unnamed because his parents could not decide on a name for him. After a week they decided that he be named K.T. Rajah. Soon after that Ros fell ill and it was then that his mother believed that a Chinese name, will make him well. 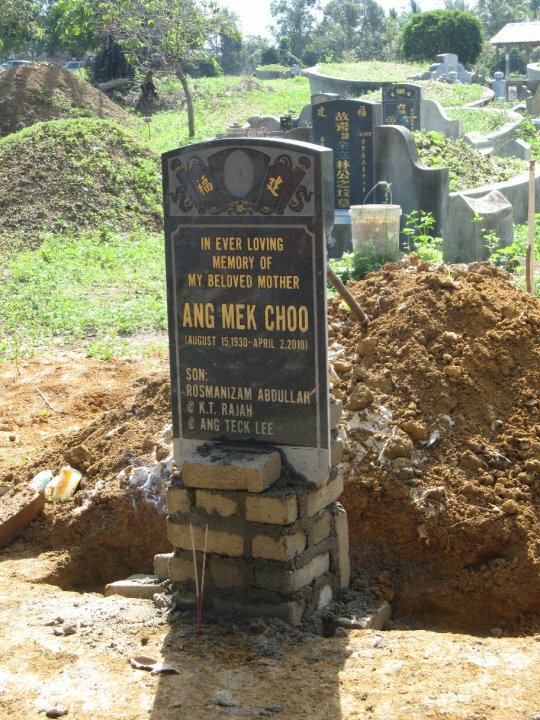 She then asked her brother, Ang Kok Soon, to adopt him and give him a Chinese name. That was when the second name - Ang Teck Lee was added to his K. T. Rajah. When it was time to go to school, Ros' father wanted him to learn Jawi. 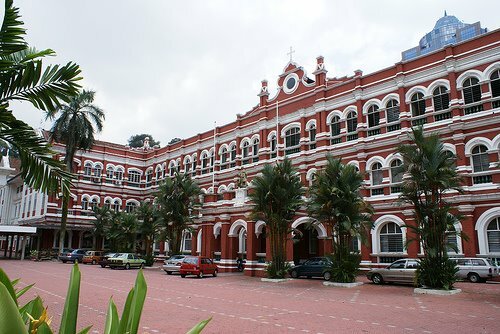 For his secondary education his father sent him to Melaka to study St David's High School. 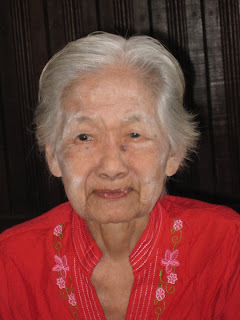 Ros' another uncle, Dr Ang Kok Jee, was moving to Melaka then and his father decided that it will be good for him go to Melaka. Ros stayed at the hostel in Bukit China and continued to learn Jawi. Ros speaks fluent Hokkien, but not Malayalam because his parents spoke in Hokkien or Malay. When Ros was 17 and in Form Five, he decided that he wanted to embrace Islam. He converted at the Masjid Tua in Johol, Negri Sembilan, where a schoolmate stayed and his father assisted him to embrace Islam. That was when his third name, Rosmanizam Abdullah was added to Ang Teck Lee and K.T. Rajah. "No one influenced me or forced me to embrace Islam. 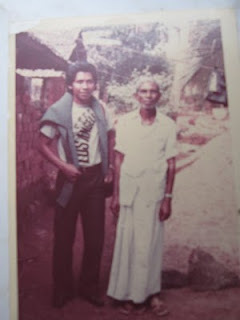 It was something I wanted to do after having studied Agama," insisted Rosmanizam. "Nobody knew that I was going to embrace Islam, including my parents. 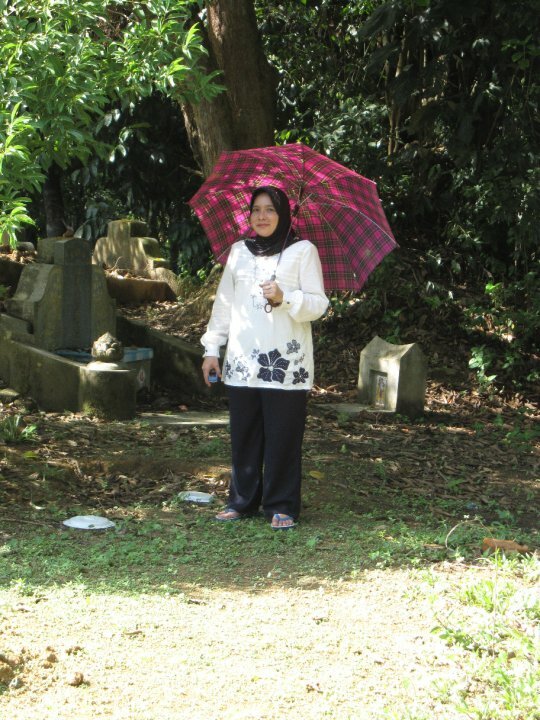 It was only one year later, when I returned home to Kota Baru for holidays and was praying, that my father saw me and knew that I had converted." Asked what his father had to say, Rosmanizam said: "He respected my decision and allowed to practice Islam. There were no issues." Ros' father passed away in 1985 at the age of 65. Ros was 25 years-old then. He is the only child of K.T. Gopih and Ang Mek Choo. But a year before his father's death, Ros had made a trip to Kerala to trace his roots when he was returning from Los Angeles after covering the 1984 Los Angeles Olympics. His father did not know that he had gone to Kerala until he returned and told him. "For some reason, my father was not keen for me to go to Kerala. Maybe he thought that being born and brought up in Malaysia, I would not fit in," said Ros. But Ros had no problems and met his father's family. He visited his father's family home which was in existence since 1880. 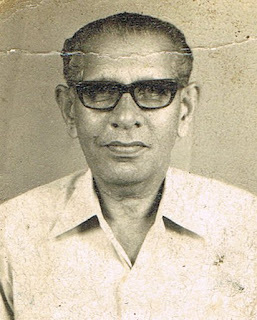 When he returned from Kerala, he wanted to take his father back there, but it was not to be, as he suffered a stroke and died in 1985. But Ros not wanting his father's root's to die with him, has since visited his relations on four occasions and continues to send money monthly for the maintenance of the family house. 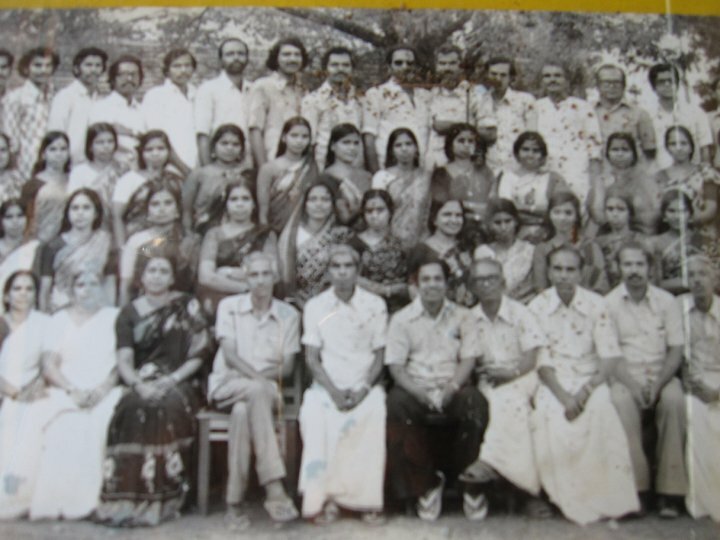 Rosmanizam's first trip to Kerala in 1984. Posing with his uncle, KT Kesavan, a head teacher for Sanskit in Cheruthuruthy. 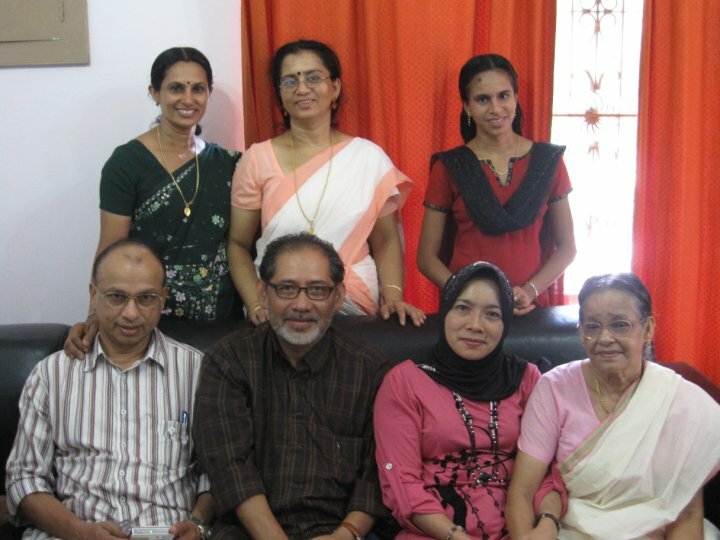 His father's family clan in Kerala. Rosmanizam with his wife in Kerala recently. To ensure that his children knew his roots, he has named them with a Chinese name too, from his mother's or his name, except for one. Their names are Faris Almas -Lee, Faizshal Niaz-Lyn, Kim Zuharin, Fadzrin Kate-Lee, Shahin Choo-Liyana, Shaznira Lee-Ann and Niz Afdlin Ahmad. For every Chinese New Year, Ros with his family without fail have been spending it with his mother. 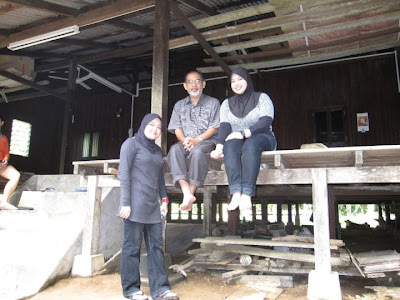 Rosmanizam with his daugthers(Shaznira Lee-Ann - standing and Shahin Choo-Liyana) at his mother's home in Tanah Merah. But nothing is going to change after the passing of his mother this April 2 at the age of 85. "We will still return to Kota Baru for Chinese New Year. While in the past, food was cooked at home with my mother around, this time around, I will be catering food," said Ros. And for his mother's funeral, he and his family were there for the traditional Buddhist funeral. Ros was even more touched and saw true Malaysian colour, when the PAS leader of his area attended the funeral. "My children and wife had no issues about attending a Buddhist funeral. 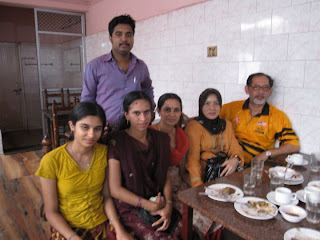 We are Muslims, but my mother is Chinese. We respect each other beliefs. There are no issues. That is the beauty of Malaysia," said Ros. Even the fact, some of his friends have even accused him of being more a Malay and than a Malay themselves, has not bothered him one bit. Ros simply brushes such suggestions and just says that he knows his roots, his beliefs and respects everyone as a human being who have their own rights to follow the path their choose. He was further accused forgetting his roots when he was instrumental in reviving the Malaysian Malays Cricket Association (which was formed in 1950 but deregistered in 1978) in 1992. DYMM Tuanku Ja'afar chairing the Malaysian Malays Cricket Association AGM in May 2008 at the Istana Negeri Sembilan, Kuala Lumpur. 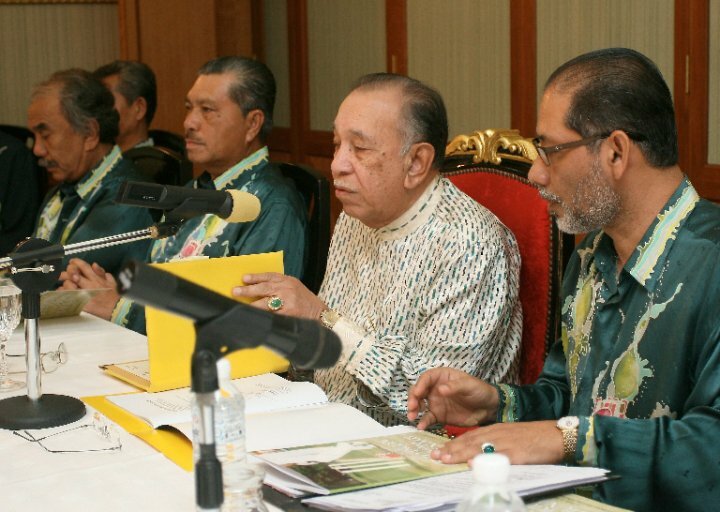 DYMM Tuanku passed away December 28th and deputy president Tun Ahmad Sarji Abdul Hamid (third from right) assumed as president. Rosmanizam, the secretary-general, in the thick of action in the proceedings of the meeting. Rosmanizam, an avid cricket player (no surprise with his roots from India) and his love for the game, took up the challenge to revive the association. 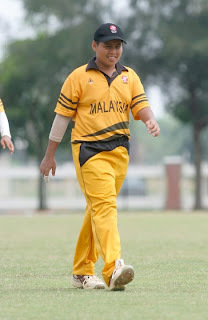 "The venue was the Rubber Research Institute cricket oval in Sungai Buloh and the game being played that day in the National Cricket League was between Kuala Lumpur and Negri Sembilan. 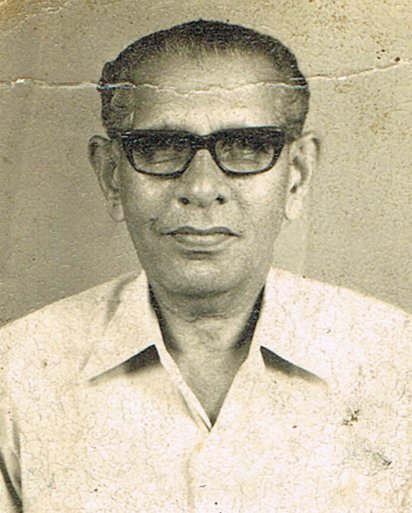 It was a day in June 1992 and I could not turn down a request for a meeting by prominent educationist, cricketer and national selector Datuk Abdul Aziz Ismail. "Apart from being known as a no-nonsense selector, this Deputy Director-General of Education who was to lose his life to cancer a year after that eventful date was also passionate about the development of cricket in this country. "Also called to the meeting was outstanding KL and national wicketkeeper Mohd. Harith Abu Baker. The intent was simple yet crucial to the future of cricket: to revive The Malay Cricket Association of Malaysia which was formed in April 1950 but deregistered in 1978. "That was the message that eventually found space in the sports pages of the local newspapers, prompting enthusiast Zahari Suradi from Shah Alam to write in Utusan Malaysia that he was in total agreement with Aziz and that the move was indeed timely. "I subsequently called for a general meeting at the National Press Club on August 21 the same year that was attended by 21 people. The master of ceremony was my Utusan colleague and former president of the National Union of Journalists Che Yazid Che Seman. An unexpected but most welcomed attendee was Abbas Ahmad Tambi, the association’s secretary for 25 long years, from 1950 to 1975. 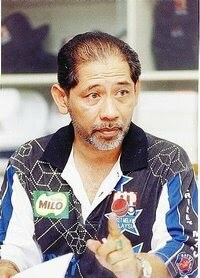 During his time with Malayan Railway, one of Abbas’s most appreciated contributions was in being able to secure discounted tickets for players who mostly travelled by train in those days. "Sadly Abbas died 12 days after that meeting but not before he had given me a copy of a souvenir programme of a game during his time as secretary." 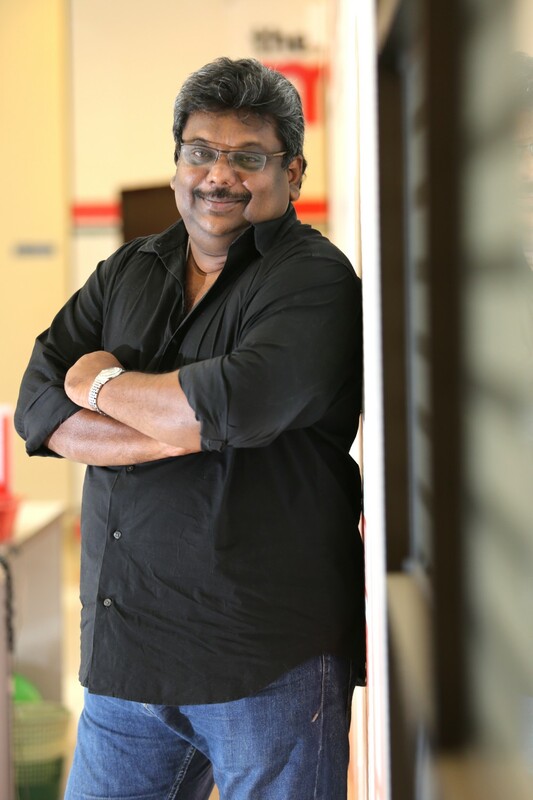 Read here the rest of Rosmanizam's story on the association. Read the rest of Rosmanizam's story on the association here. 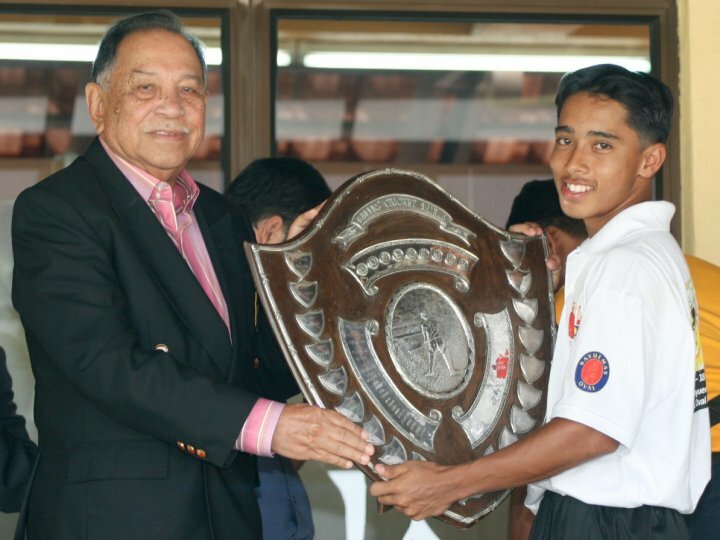 Rosmanizam, the recipient of the National Sports Leadership Award 2004, has indeed done wonders for the world of cricket in Malaysia, and not just for the Malay cricketers. 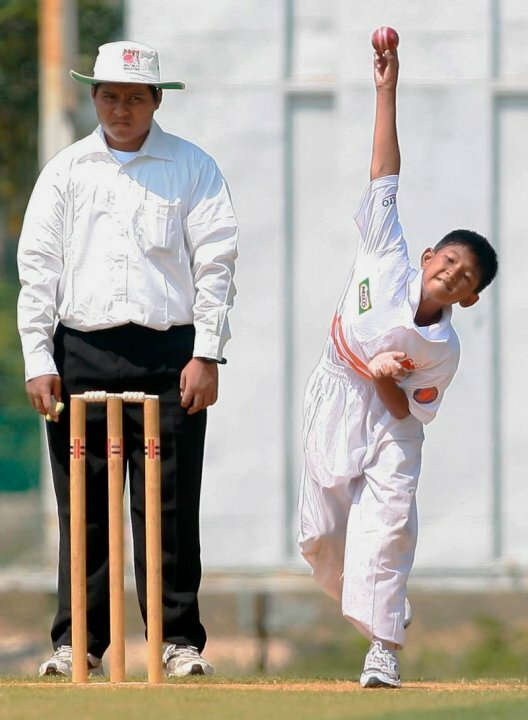 And his three sons, Faris Almas, Faizshal Niaz and Fadzrin Kate are all national junior cricketers. 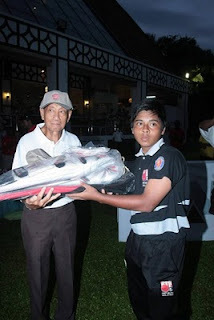 Fadzrin Kate-Lee as captain of Penang Free School receives the best player's award after the KAF International U-15 championship at the Royal Selangor Club at Bukit Kiara in 2009. Ros says that in the next few years, probably three years, when he is 55, he wants to return to Kelantan and do something for the Chinese community. Indeed, Ros' journey has been an exciting and colourful one and he is certainly a true Malaysian by all standards. How many Malaysians can boast off like a history he has, I really do not. Rosmanizam Abdullah@Ang Teck Lee@ K.T. 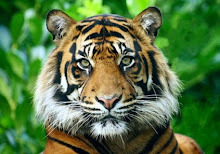 Rajah is a rare kind and he should be a shining example for other Malaysians to live harmoniously and peacefully in this beautiful Malaysia! Tony, kudos to you! I think you are the first person to write a fitting tribute to a true Malaysian! A wonderful piece of tribute, Tony. I knew Rosmanizam when I was with NSTP, but never knew that he had such a rich historical background. Your tribute to Ros puts the 1malaysia slogan 50 years back. Excellent piece and hats off to Rosmanizam for being a true Malaysian. It is a very interesting touching and beautiful story. Good story. Rosmanizam is a fine example of how people of different creed and background can learn to respect each other. I salute his wife and children for being there at the mother's cemetery which may be taboo to some. Wonderful piece Tony. Ros, a shining example of a bangsa Malaysia. What a fantastic article. Excellent (as usual) Tony. Tony, A wonderful article! brilliant stuff! To Abang Rosmanizam, 1 Malaysia stands true to you and your family! Excellent stuff ! Congrats to you for unearthing such a wonderful unique story ! A remarkable story . Looking back to solve the 1 Malaysia concept.A fitting story for a curriculum material for school children. Thanks for the eye opener, Tony. Keep posting more. I know Ros when he was actively involved in Kriket Melayu. As a person he is meticulous and very passionate about sports. Whilst in OCM he is prepared to admit that he does not know a sport but is ever willing to learn more about it. In the event or when the Sec Gen Sieh Kok Chi retires, I recommend that the no nonsense Ros be considered as the SEC Gen of OCM. His credentials speaks volumes about this man. Well done Tony for a very touching and inspiring story. I know Rosmanizam very well. We rented a bungalow together in Kawasan Melayu, PJ back in the early 80s. You forgot to mention he had a bapa angkat in Melaka, a towkay teksi. So Rosmanizam and I used to get free rides in his bapa angkat's teksis whenever we wanted to go Melaka, where everybody seemed to know him. Feels great to read something like this in the present season of imbeciles who like to split malaysians. Sorry coz dah lambat sangat but hati saya mendesak jugak to congratulate you n to say thank you for that such a wonderful story about our friend Rosmanizam. Beliau layak diberikan recognition yang lebih baik dari apa yang sepatutnya n thanks to all the guys like you.